At Something Social, we believe what goes around comes around. We also believe in the golden rule (and something that’s arguably more important than the previous belief), treat others the way you want to be treated. So that’s why we started #SomethingSignificant. Every month, we share a new way to give back with you. with you a new way to give back. Whether it’s volunteering at a local food drive, or spreading awareness about an issue close to your heart, your Something Social team is here to encourage you to do #SomethingSignificant. In a month focused on travel and gift giving, there’s a major amount of heavy lifting that can be done to reduce how much waste we’re generating. Which is why we felt it appropriate to leave 2018 on a Zero Waste Note. Trash is For Tossers is a blog rooted in the philosophy of making sustainable living easy. 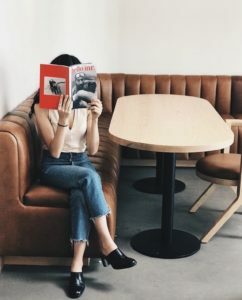 Written by Lauren Singer, the blog is a creative guide to reducing waste and encouraging environmental responsibility. 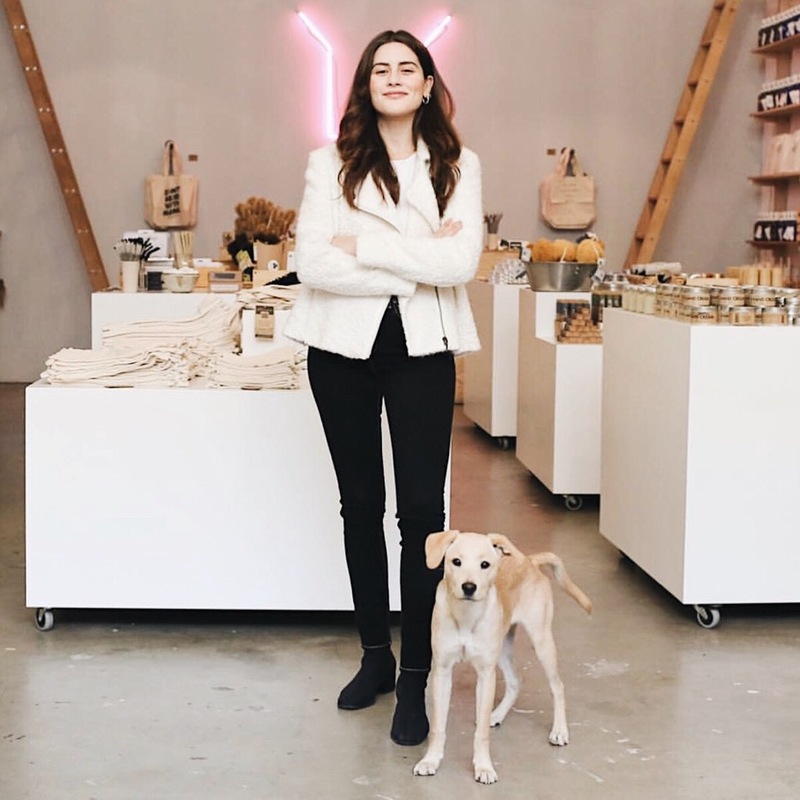 She’s used the reach of her highly influential blog to not only make Zero Waste living accessible, but she’s turned it into a store and a product line. Lauren’s store, Package Free Shop, offers solutions and resources that are essential to reducing your personal plastic use. The shop stocks everything from her all-encompassing Zero Waste Kits to bamboo straws to personal hygiene products sold in plastic-free containers. Package Free Shop has made an impact, reporting that since opening, the company has helped divert 4,025,600 plastic straws, 3,061,240 plastic bags and 1,419,260 non-recyclable bottles out of the landfill. Ready to follow in Lauren’s low-carbon footprints? Her top tips for going no waste are pretty simple. Bring your own bags. Shop in bulk goods sections and farmers markets to avoid plastic. Buy your clothes second hand. 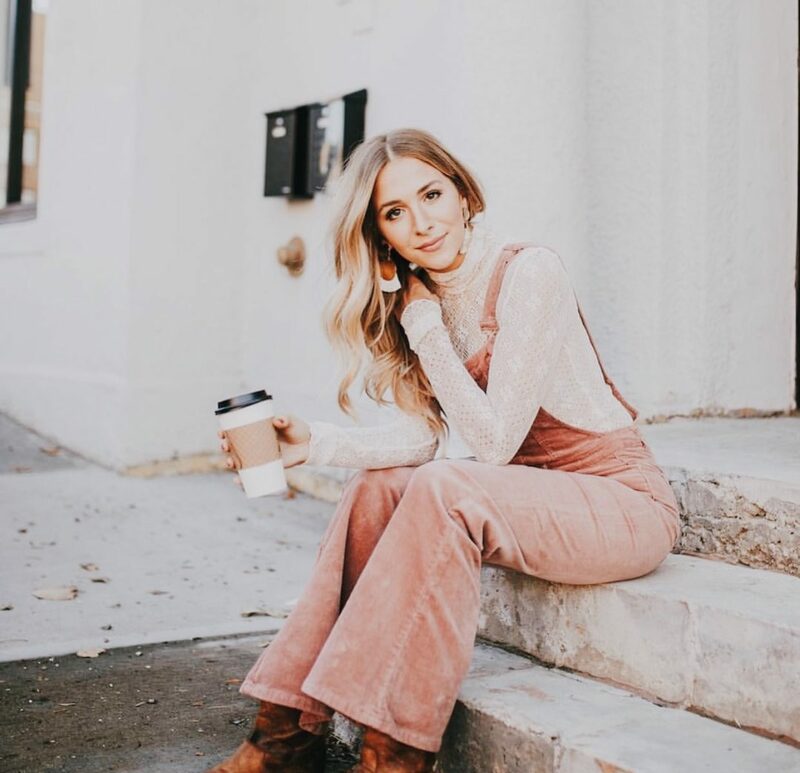 Erewhon Natural Foods: At their locations, you can find a good selection of standard bulk foods like grains, beans, nuts, seeds, snacks, herbs, spices, teas, and more. Sprouts throughout the city: What you can purchase in bulk here varies by location, but options include grains, beans, nuts, seeds, granola, snacks, baking supplies, dried fruits, and more. Co-Opportunity Natural Foods: Has a large bulk section, which offers the standard selection of grains, beans, nuts, seeds, granola, dried fruit, snacks, herbs, spices, and teas, as well as a few particularly exceptional offerings: nearly 30 different types of bulk coffee, machines for freshly ground almond, cashew, and peanut butters, and bulk liquids like honey, maple syrup, kombucha, and apple cider vinegar. Rainbow Acres: Bulk dry goods (pantry staples like beans, grains, nuts, and snacks), bulk liquids like soy sauce, and a big selection of herbs, spices, and teas. They also have bulk cleaning supplies like borax, beeswax, and soaps. Bring Your Own Long Beach: At this spot, you can stock up on bulk home and beauty products, like shampoo, conditioner, body wash, hand soap, body lotion, jojoba oil, Castile soap, baking soda, laundry detergent, dish soap, dishwasher detergent and more. They also sell zero waste goods for the home. Find them at a pop-up location or at their refill station. Broome Street General Store: You can find nontoxic and refillable soaps and household cleaners made by Common Good. Sustain LA: Package-free household cleaning supplies and bath and beauty products; you can bring your own container or purchase one of theirs to fill up. They pop up at Farmer’s Markets in Highland Park, Atwater Village, and Altadena, but they have an online store you can check out as well! Composting isn’t tough. Figuring out what to do with the scraps when you don’t have the yard space (or a yard!) for a compost bin is the hard part. But the good news is you have options! If you live in an apartment or just aren’t in control of your waste management options, but still want to compost, it requires a little more leg work. That’s where Epic Renewal comes in. For the low cost of $30/month these green thumbs will provide you with a 3 or 5 gallon compost bin, pick it up, AND compost it. For more info on Epic Renewal, check out their website here. This very seasonal guide on how to wrap gifts zero waste. What are your fave Zero Waste Living tips? Tweet us @somethingsocial or tag us on Instagram- @somethingsocial. The latest in Insta-worthy experiences is Sunnyhue’s dreamy Happy Go Lucky Exhibit. 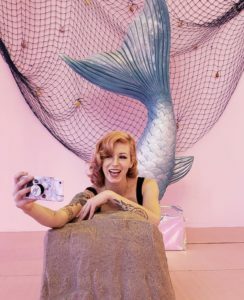 Flush with pastel mermaid moments, a diamond-encrusted hallway, and an ocean of sunflowers, Happy Go Lucky is the perfect pop for your feed during this month of chilly, rainy days. Sunnydays is hooking you up with a special holiday offer of 20% off ticket prices when you use code ‘THANKS’ at checkout. Buy your tickets here. New on the Eastside is the industrial and spacious, Atrium. 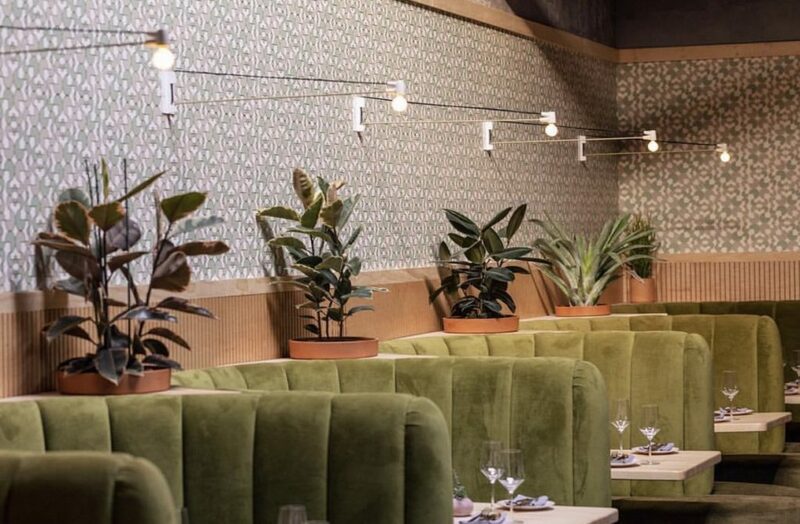 Declared a “dinnertime star” by Eater LA, this hidden gem is not to be missed. Tucked into a Vermont Ave alleyway, Atrium flipped a previously unoccupied warehouse space into an elevated dining experience featuring a variety of LA flavors, including Grilled Cauliflower Shawarma, Dry Aged Steak with Szechuan Sauce, and Roasted Squash Agnolotti.Their olive-green, plush velvet booths and lush foliage are sure to make for the perfect escape. 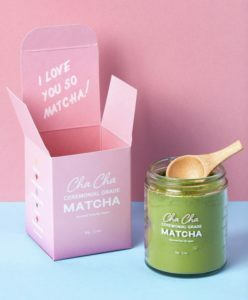 You already know them and love them so matcha, and now they’re coming to the West Coast. Cha Cha Matcha opens a new storefront in our neighborhood, West Hollywood, on December 7th. 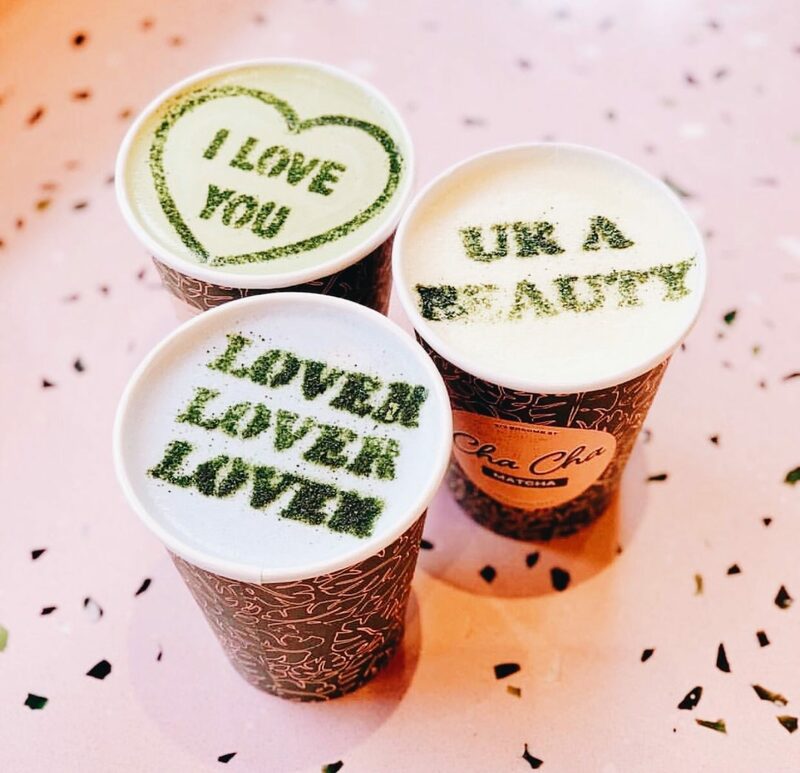 Cha Cha incorporates Ceremonial Grade Matcha Powder into their drinks to raise the bar on the quality of their pretty green sips. 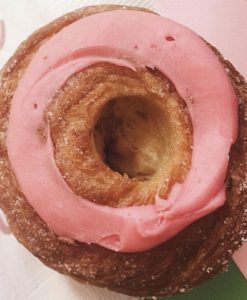 If their New York location is any indication of their new spot, every corner is sure to be a must-’gram. For The Record returns to The Wallis with a multimedia musical celebration of Richard Curtis’ beloved holiday movie, Love Actually. 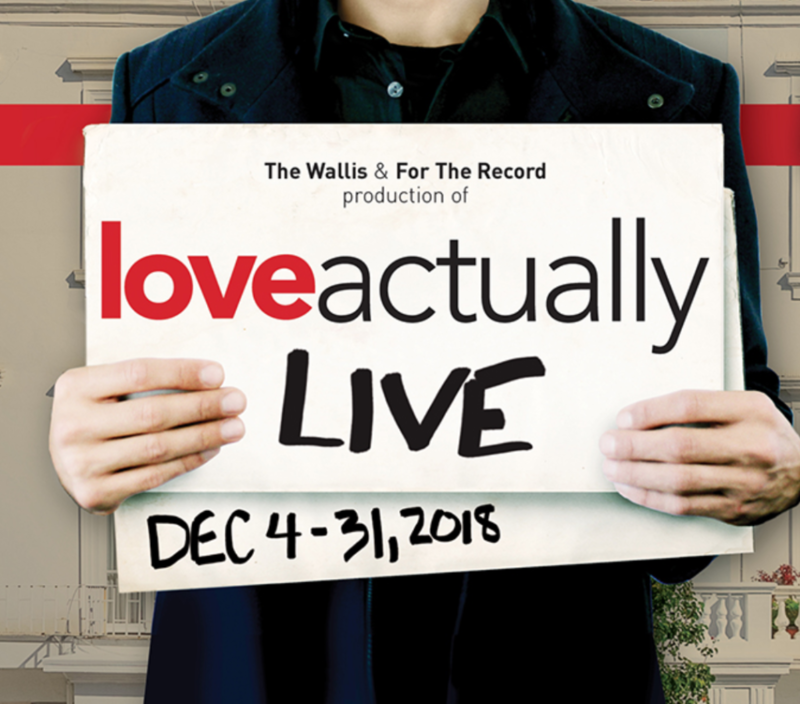 The world premiere production of Love Actually Live, presented by special arrangement with Universal Pictures and Working Title Films, will transform the Wallis’ Bram Goldsmith Theater into a giant, immersive, cinema for the modern day. The production will include songs from the hit soundtrack, including “Christmas is All Around,” “The Trouble With Love Is,” “All Alone On Christmas” and more. Performed live by an all-star cast and 15-piece orchestra. Click here for tickets. 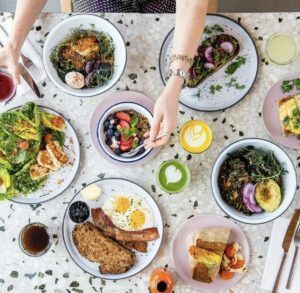 Brought to you by the owners of Cafe Gratitude and Juice Served here, popping up in the up-and-coming neighborhood of West Adams is Highly Likely. Not only is the natural light out of this world, but the breezy atmosphere of light wood and plenty of plants is beautifully accented with a graphic mural. The daytime menu of bowls, sandwiches, and salads features specially sourced ingredients like @bubandgrandmas bread, Niman Ranch bacon, and a HiLi Hot Sauce brewed and bottled specifically for Highly Likely’s kitchen. 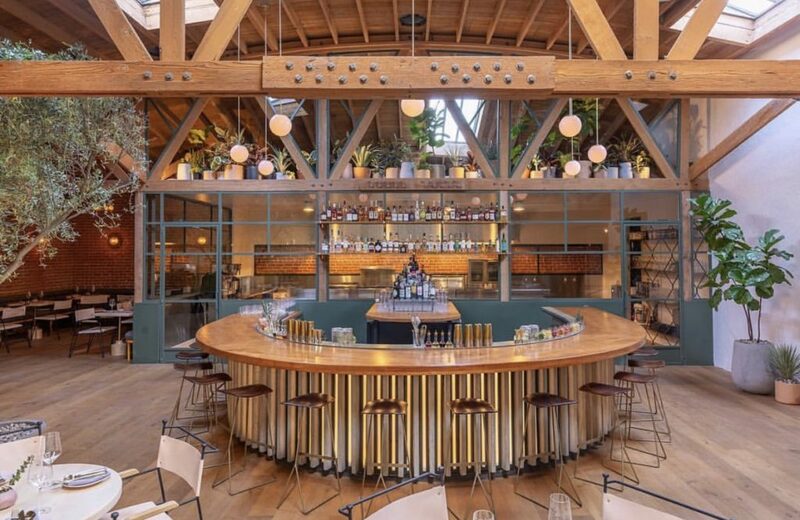 In the evenings, the menu transitions to a late night menu, featuring unique bites and apps like Nacho Fries, Burrata Toast, and a Grass-Fed Burger to pair with their lineup of French wines. 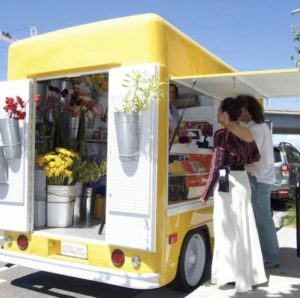 Check out their pop-up events with rotating floral trucks and a Sunday Suppers pop-up dinner series hosted by Chef Kat Turner (@katturnerwashere). Check out the Eventbrite for tickets to their next event here. 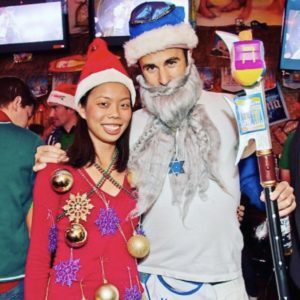 The 10th Annual Santa Monica Pub Crawl kicks off this Saturday at 5pm in Santa Monica, CA. 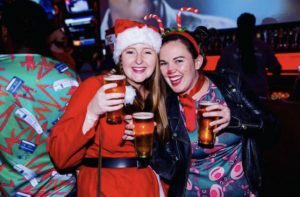 Drink around the city’s best bars and restaurants to raise money for those in need during the holidays through a partnership with Westside Food Bank. With your SMPC wristband you will receive drink and food specials at the participating locations. 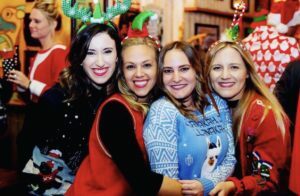 Participants are asked to dress in Santa/Holiday attire so that the streets of Santa Monica will be filled with merry cheer. Crawlers must sign up online, Pay a $15 entrance fee (in advance), choose a route and collect their wristband and map at their official starting location. (see all routes here) For more information on the crawl, check out their website. 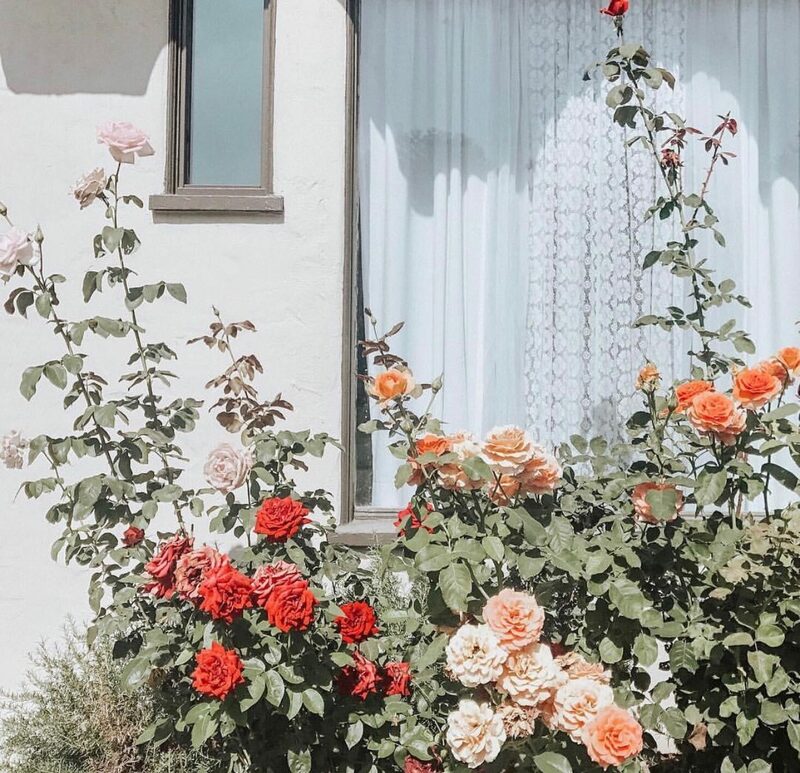 Smack dab in the middle of West Hollywood, Poppy has always been one of our favorite spots. This year they’re serving up a New Year’s offer that can’t be beat. 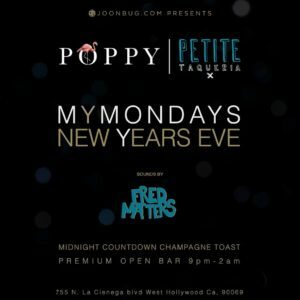 Tickets start at $94 for a 5-hour premium open bar premium open bar and live music from one of The h.wood Group’s best DJs. Before the stroke of midnight, raise a glass of complimentary champagne and join the DJ in a live countdown to 2019. Have a little extra holiday cash to throw at your NYE celebration? Pick from a selection of VIP table packages featuring priority admission, reserved seating, and bottle service. Click here to buy your tickets. 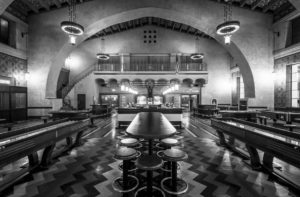 KCRW hosts their annual Prohibition New Year’s Eve party at the glamorous and historic Union Station. 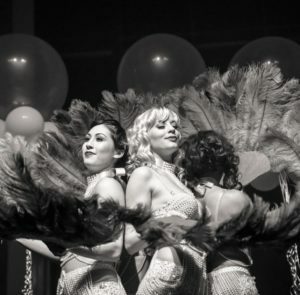 General Admission tickets start at $185 and include an open bar of champagne and premium spirits. LA based duo CLASSIXX will take the main stage at the midnight hour to perform an energetic, disco-inspired DJ set. 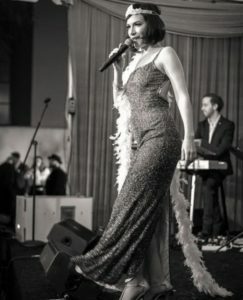 Further musical support includes internationally touring saxophonist Justin Ward, Los Angeles’ own DJ Gadachy, Jackie Emerald, MDA DJ’s Daniel Minaya & Mogli, along with jazz ensemble Lyndsay & the All Nighters, and burlesque performances from Dollhouse Entertainment. Click here to buy your tickets. What are your go-to holiday spots? Tweet us @somethingsocial or tag us on Instagram- @somethingsocial.